Sarasota Yacht & Ship is proud to be the premier international source for new and brokerage yacht sales. 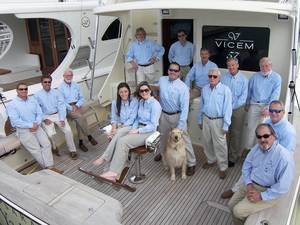 This is our blog, “Yachting Prose“. Welcome! “Yachting Prose” is dedicated to entertaining power boaters, sailors, pirates, parrotheads and all other seafaring souls with the wondrous marine world – both above and below the sea. Please feel free to leave comments, we would love hear to from you! We are one of the longest-established full service yacht brokerages in the industry, operating at our Main Street office, in the heart of beautiful downtown Sarasota, for over 25 years. Whether you are buying, selling or trading, call on us for any and all your boating needs!